Thanksgiving means lunch at Du Pars at the Grove in Los Angeles. This year's meal was a total downgrade compared to last year. Their stuffing was mushy, turkey was a bit overcooked as well. Also, we made our reservation at 12, but we didn't get in until at least 30 mins after. This happened last year too. But food is food and Thanksgiving is all about eating your face out, something I obviously approve of! We got to choose between soup or salad. 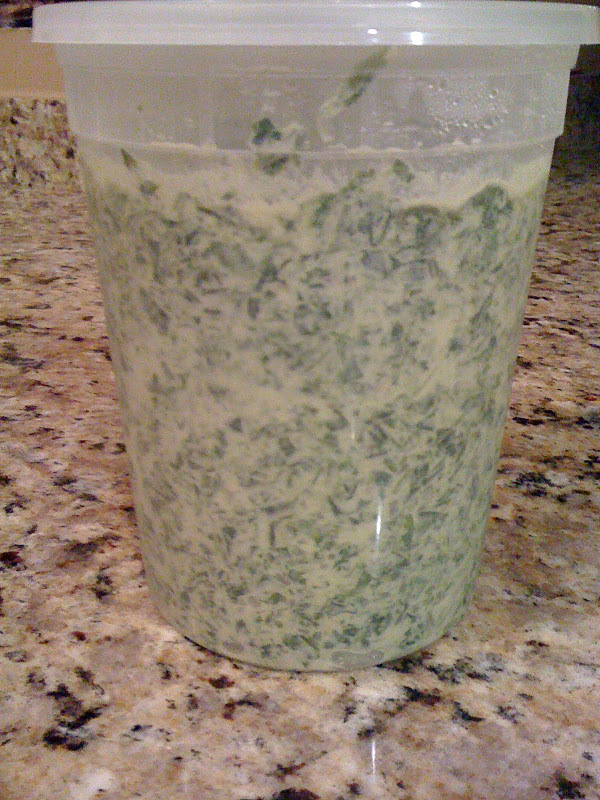 Sweet pea soup or chicken noodle. I chose the chicken noodle and it was yummy! You can check them out at 6333 W 3rd St. Los Angeles, CA 90036. Dinner Time was spent at a family friend's house with this fancy meal. This was our dinner at LYL Garden Seafood at 500 W Garvey Ave. Monterey Park, CA 91754. The service was seriously bi-polar. We walked in and asked for a to-go menu and they were like get it yourself! Then after they got all attentive. Ssh! Old traditional Chinese soup. Base was made for over 5 hours. 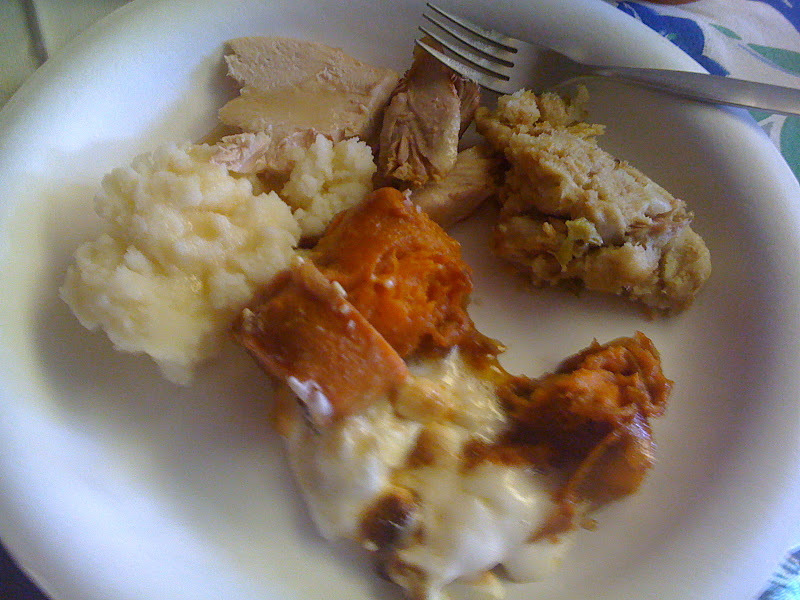 Homemade turkey, yams with marshmallows, and mash potatoes. Baked yams and marshmallows! My favorite!!! This is at Salju Dessert, a newly opened shaved ice shop at 35 W Valley Blvd. Alhambra, CA 91801 Shaved ice with mochi, strawberries, red beans, green tea! It was great though, and even a bit expensive! My lovely uncle has a Lawry's reciepe. He made me a big can of spanich soup! It has cloves and cloves of garlic inside. So yummy! I find myself heating this up as a midnight snack! Uncle also bought a $150 slice of rib for Thanksgiving. He brought me a slice to eat on our own time! 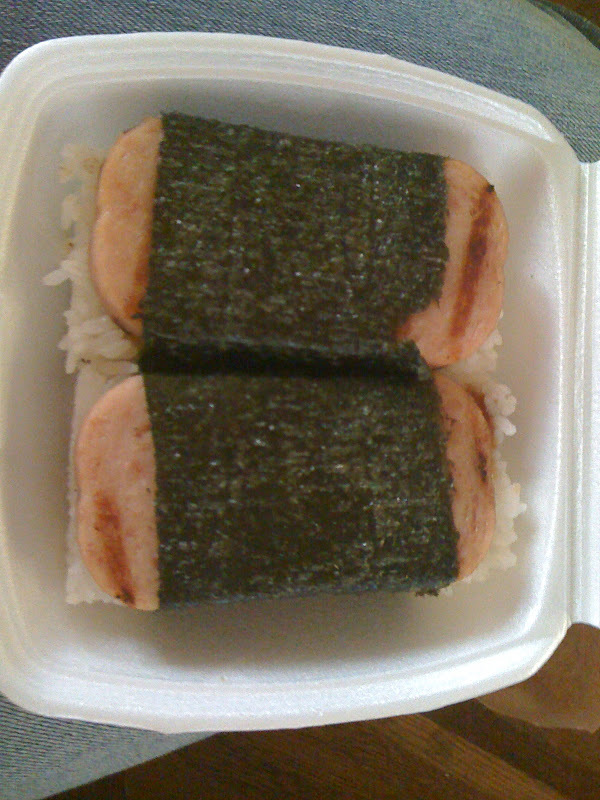 And last but not least Spam Musubi! Yum B-Man's in San Marino has a some awesome musubi. Only $1.75 and they add teriyaki sauce to it. It's a must have! Try at 3007 Huntington Dr. Pasadena, CA 91107. I definitely pigged out. Lots and lots of food! Feel free to try these places and tell me how you liked it. Nov 14 Hong Kong in L.A.